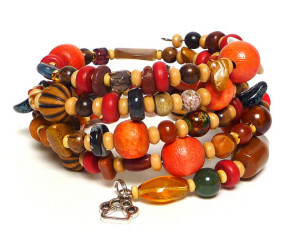 This vibrant bracelet on Etsy is called Terra Cotta. The colors reflect the fiery skies and hills around the Grand Canyon. All bracelets are hand-crafted, one-of-a-kind with a dangling paw charm. Each bracelet costs $20 (no tax). Shipping cost is based on destination. For the month of March, bracelet sales benefit the Greyhound Gang.